Confession: I love to pump up my air conditioning and try on my boots and scarves. Wow, I miss fall weather. We're in the last leg of summer and while there are things we are racing to finish before it's back to the chilly weather there are great things that come with the temperature drop. Besides the obvious fall attire there are fashion events a plenty. September 10th will be the 2nd annual Fashion's Night Out event hosted by the CFDA. Based in New York City, FNO is making it's moves across the country. Great news for everyone who stalked the airlines hoping the price to NYC would go down. Check out Fashion's Night Out website and twitter. My favorite part of fall you think would be the knitted scarves but fashion week wins. The most famous are the shows in New York, Paris, London and Milan but don't miss the ones that could be in your own backyard. A lot of upcoming cities have been progressive in their own fashion weeks, Phoenix being one of them. I am happy to announce that this year I will be blogging for Phoenix fashion week and get a front row pass to share the fashion happening in the valley of the sun. Phoenix fashion week is celebrating their 6th anniversary this year at a new location at The W in Scottsdale. Along with displaying some of the best Phoenix fashion they will also be campaigning to help the Susan G. Komen foundation in helping find a cure for breast cancer. Phoenix Fashion Week will be October 7th through October 9th and will help us welcome fall with open arms... I can't wait! 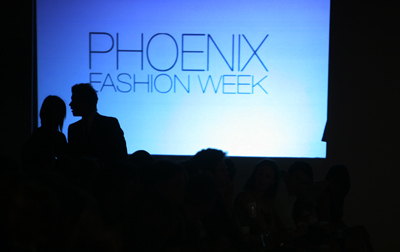 For more information on Phoenix Fashion Week check out their website, blog and twitter updates. Love the blog B! Excited that you will be blogging for PHXFW!